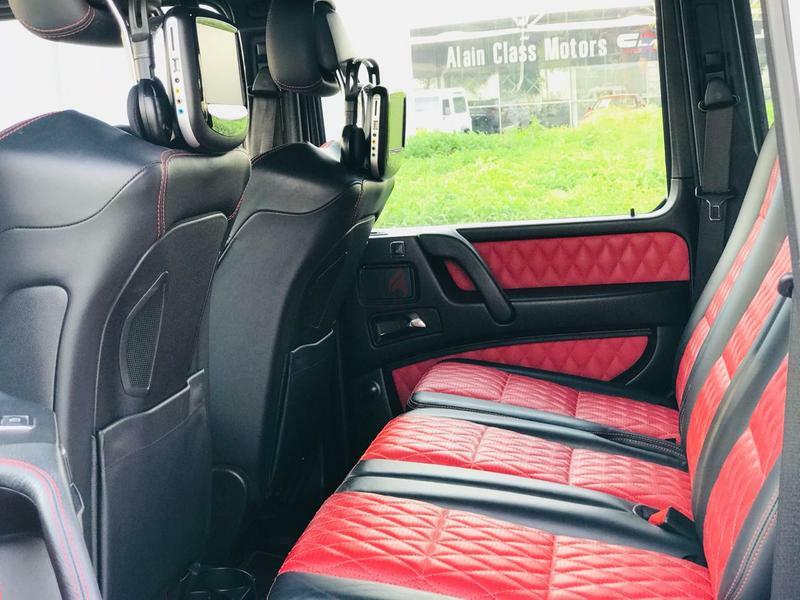 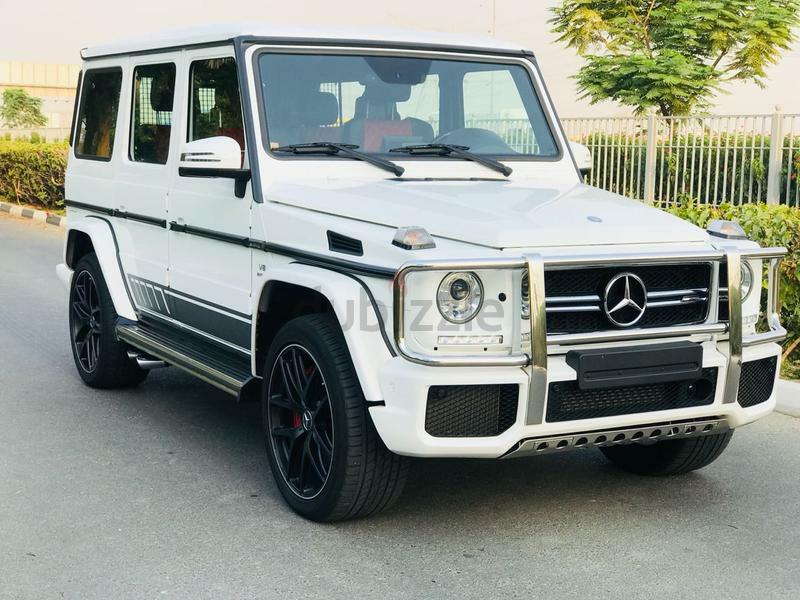 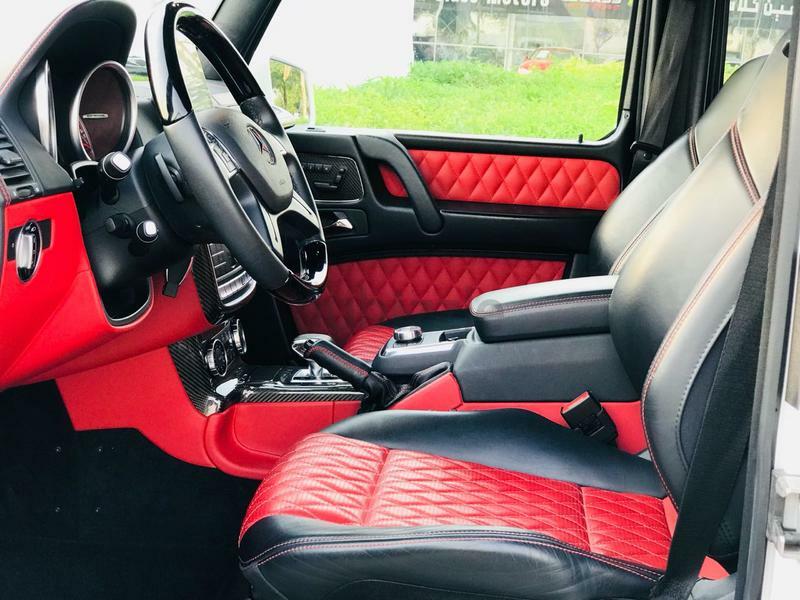 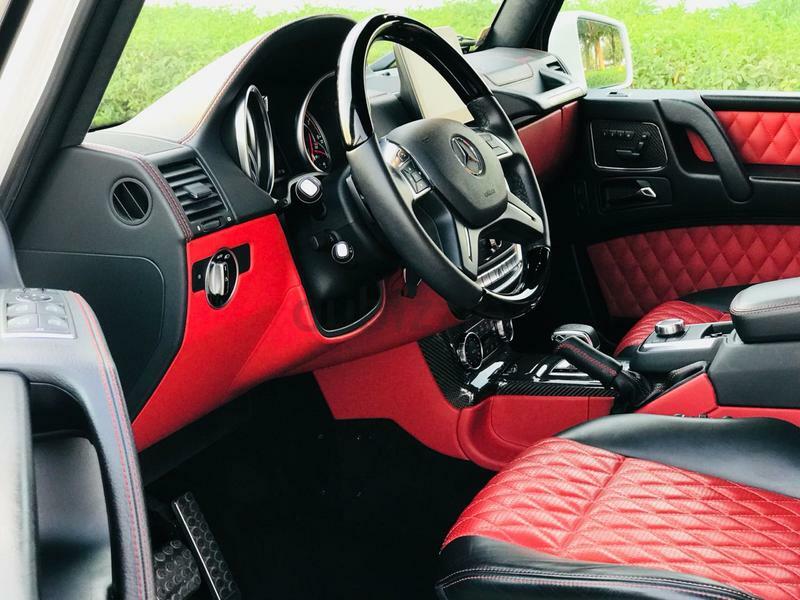 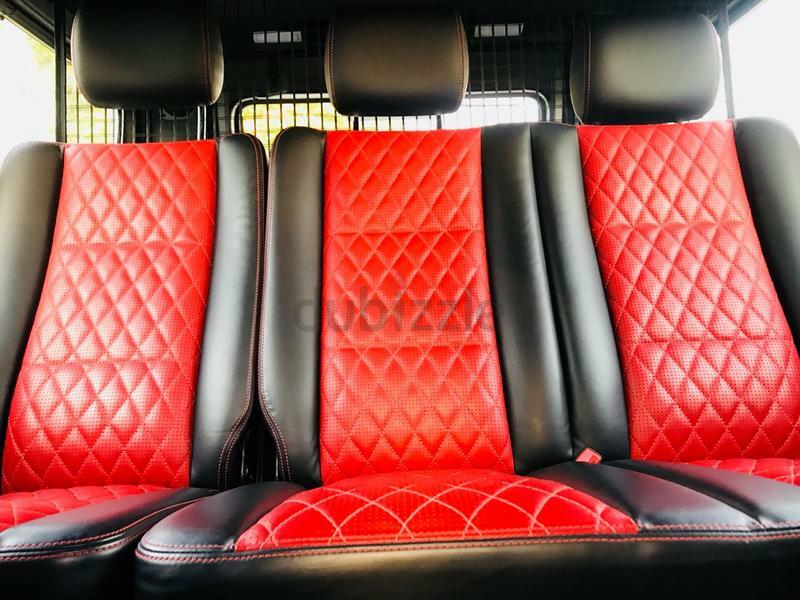 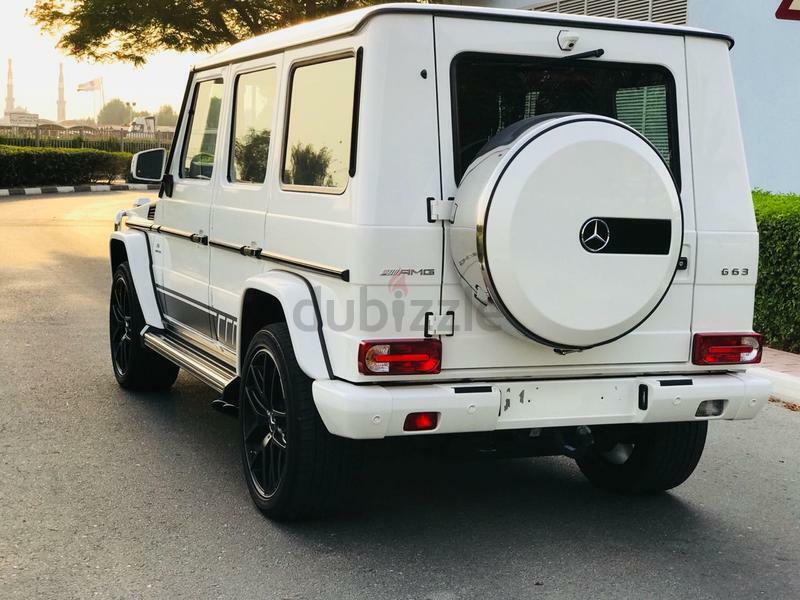 Used Mercedes-Benz G 63 AMG EDITION 1 for sale in Dubai. 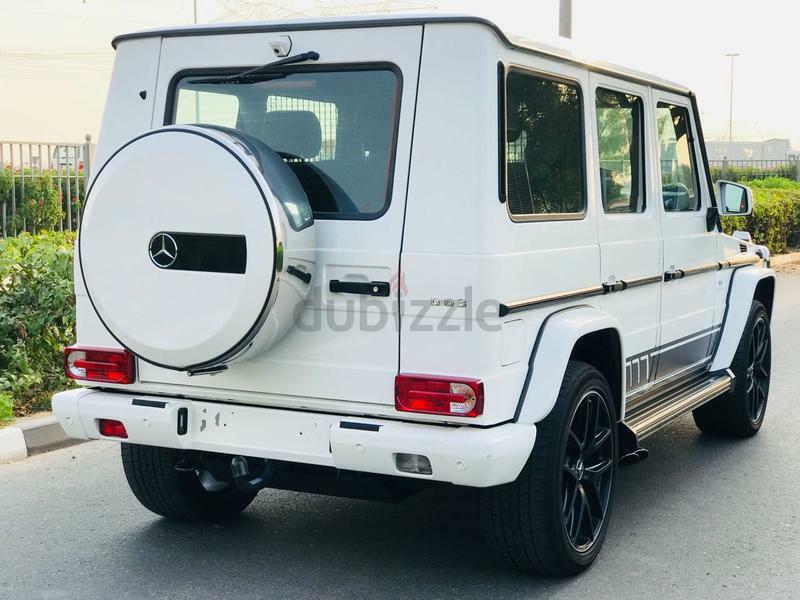 White 2017 model, available at Royal Motors. 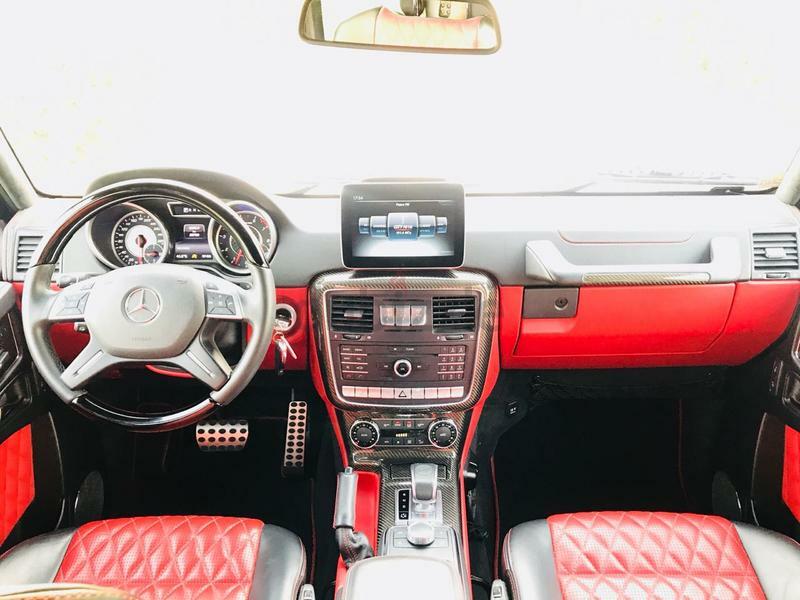 This car has automatic transmission, a 8 cylinder engine, 19″ wheels and red interior. 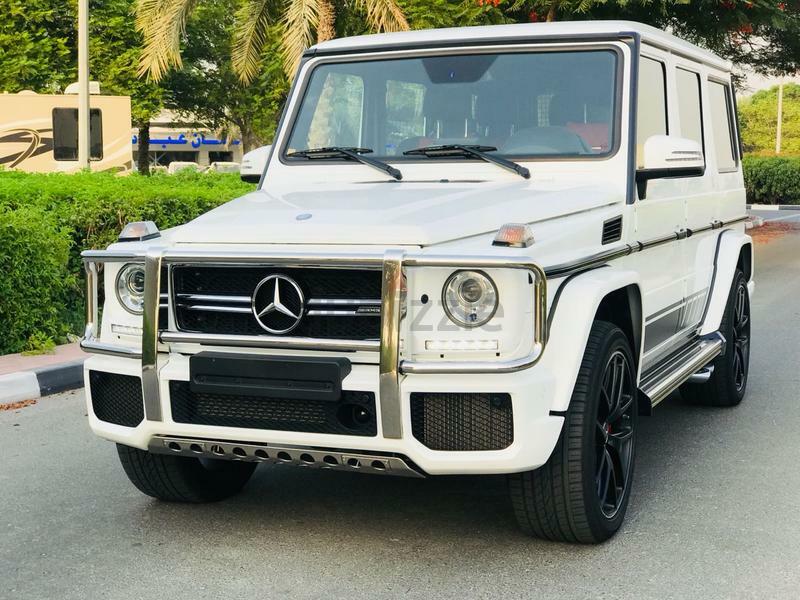 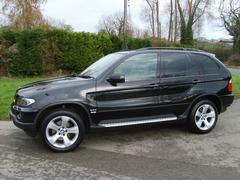 28,000 km, GCC specs.